‘Development’ was the key word during the second quarter of the year, with manufacturers and regulators making progress in a wide range of areas – not without controversy either! Auto manufacturers from Asia were the biggest talking point of the quarter, with several stories casting light on unscrupulous practices. Mitsubishi was the first of three auto makers exposed – the company confirming it had lied about the fuel economy performance of its minicars for the last 25 years. 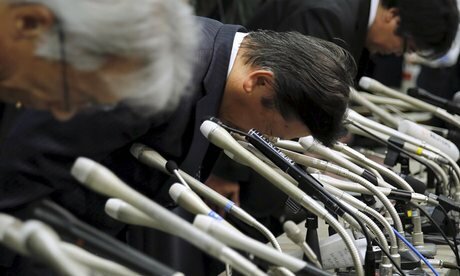 Suzuki was next to acknowledge its own wrongdoings – illegal fuel economy testing for its Japanese vehicles. And earlier this month, Nissan faced criminal charges from the South Korean government after being caught in an emissions cheating incident. However, the Asian sector was supported by merger activity, with Nissan attaining “effective control” of Mitsubishi. Volkswagen recently settled a $20b civil claim against it in the US, however, the manufacturer is still facing numerous other proceedings across the world for its infamous ‘Dieselgate’ scandal. Meanwhile, in Australia, Ford became the subject of its own legal battle after a class action was filed against the company for “unsafe” transmissions in over 60,000 of its vehicles. Lastly, several manufacturers hedged their bets on the future of the industry. BMW, Toyota, Volkswagen and even Apple all signed partnerships with ridesharing companies, while Fiat Chrysler formed a self-driving partnership with tech giant Google. While the Takata airbag recall surged towards 78 million vehicles worldwide, there were fewer major safety incidents throughout the quarter. One troubling report was the discovery of 33,000 fake Toyota safety parts in a Chinese factory, destined for Australia. Toyota recalled 3.4 million cars over airbag and fuel tank concerns, while the Australian arm of Jeep Chrysler issued a recall for 50,000 auto vehicles which could roll away when left in park setting. This however, would pale in comparison with news at the end of June from Mitsubishi and Toyota, recalling nearly 500,000 and 324,000 cars respectively. Google meanwhile, is considering an innovative approach to combat the increasing number of pedestrian fatalities, patenting a design for vehicles with sticky bonnets that would prevent secondary impacts after a pedestrian is struck by a car. On the environmental front, Australia was left embarrassed by research showing it ranked equal 31st for global vehicle CO2 emissions. With an absence of legislation set to address this, while other countries make progress, things are unlikely to improve soon. 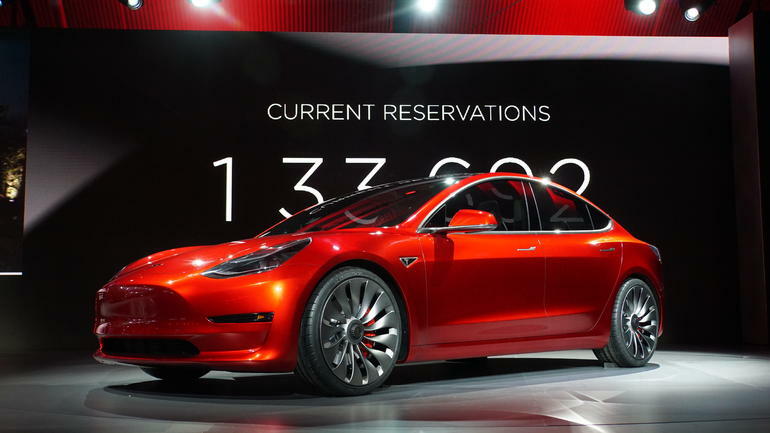 With Tesla releasing its highly sought after Model 3, electric vehicles were buoyed by notable publicity. In its footsteps, Volvo is aiming for 1,000,000 electric vehicles by 2025, while Mercedes-Benz announced plans for a 500km, five minute recharge EV – potentially as part of a dedicated EV brand. Nissan unveiled plans to develop the world’s first engine powered by a solid oxide fuel cell (SOFC) as well as bio-ethanol electric power. 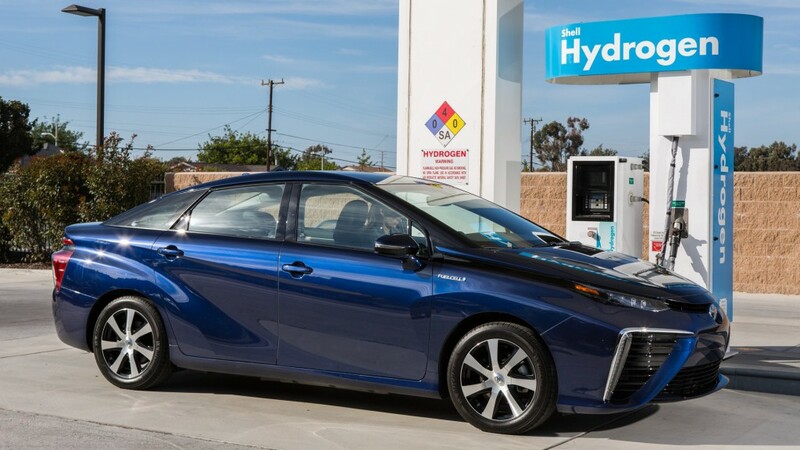 Toyota however, reaffirmed their long-term commitment to hydrogen power. Mazda and Volvo adopted opposing views regarding any move to rely on self-driving technology. The former proposing that such technology should only be used as support, whereas Volvo foresee autonomous cars operational in Australia by 2021. Subaru are partnering with IBM to establish a data system that would replicate autonomous driving traits and eradicate vehicle accidents. As new sales continued to surge to record levels, Ford recorded a rebound in sales with a sixth consecutive month of sales growth – overtaking Holden for the first time since 1999. International auto makers remained the preferred brands of choice, while an increasing number of 4WDs and utes from Asia were being favoured ahead of local options. In response to emissions concerns, Norway proposed legislation that would ban the sale of new petrol and diesel cars from 2025, while India advocated for all cars to become electric by 2030. 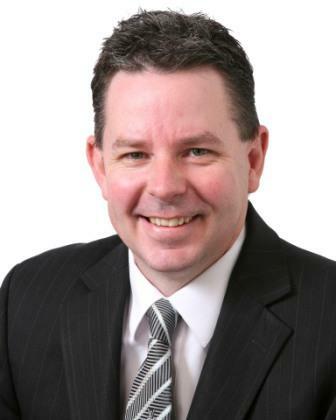 China looks set to allow the importation of parallel import vehicles, while in Australia, Nick Xenophon confirmed he would oppose local changes in this area. Finally, the SA government embraced self-driving vehicles by becoming the first state to permit controlled testing. Already, several cars have the technology to realise that you’re drifting and your attention is lagging and, given the time of day according to all the electronics systems and how long you’ve been driving for, that you are likely to be getting sleepy at the wheel. That’s clever enough as it is and is a huge leap forward when it comes to road safety and crash prevention. However, there’s an Australian company that is taking things one step further and can actually see by your face that you’re getting tired. Us humans have this “Gosh, you look tired,” thing down pat. We can see the bags under the eyes, the dark circles, the lowered lids and the general bleary look. Sometimes, we’ll ask another person this “Are you OK? You look so tired,” when that person isn’t tired at all. I used to think, “That poor child doesn’t get enough sleep – there’s always dark circles under her eyes” about one girl I saw a lot until I learned that the dark circles were genetic and not to do with poor sleep. Nevertheless, we all know how to do it by instinct, at least if we’re not total psychopaths or sociopaths. The company Seeing Machines is based in our very own Canberra and is working on facial recognition software that picks up when people are looking tired, distracted or drowsy. The system uses a combination of a collection of discreet cameras trained on the driver – but which aren’t intrusive and in-your-face – plus a cunning computer algorithm that looks at your eyes and works out where you’re looking and for how long. It also looks at your head movements, your facial movements and your facial expressions, and uses these to detect when you’re getting tired. Seeing Machines is in the process of developing their fatigue monitoring systems in partnership with various mining and other industry partners, including Takata, who specialise in research and development of automotive safety systems. Some of the other products that Takata has been involved with are seatbelts and airbags – things we take for granted these days. However, think about what seatbelts looked like back in, say, the 1980s, where an inertia reel seat belt was pretty flash. Airbags weren’t even heard of then. However, inertia reels are pretty standard these days and are a lot better than they used to be. Take pretensioning systems, for example. Then you’ve got airbags: every new car, even stripped down back-to-basics models have at least one set of airbags; most models have heaps. Takata is a Japanese manufacturer that is responsible for making these airbags and seatbelts, which the motor mechanics then install in the cars. This means that when you buy a new vehicle, the seat belts and the airbags will have been outsourced to the specialists (Takata) rather than being made by, say Toyota or Mitsubishi in-house. Some of Takata’s products are more high-tech, which is why Seeing Machines is partnering with this manufacturer for their driver fatigue monitoring systems. Things that Takata is already making or is in the process of researching include collision sensors (as seen in pre-collision systems, blind spot warning systems and the like), lane departure warning systems and seat occupant detection systems. Part of me thinks that Seeing Machines’ technology is brilliant. We’ve all had those times when we’ve had to drive late at night or very early in the morning and the risk of nodding off is real. So having a system that sees when your eyelids are drooping and your head is beginning to slump forward slightly, then jerk back as you snap back awake, then slump forward again is a good safety feature. The Transport Accident Commission says that in Victoria alone, there are 50 deaths per year caused by someone dozing off at the wheel. Given that a car going along at 100 km/h will travel just over 100 m if the driver falls asleep for only four seconds of microsleep, this isn’t surprising. 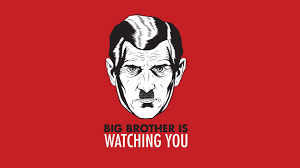 However, there is another part of me that doesn’t like being looked at and monitored by a computer and a camera, even if this is for my own good. 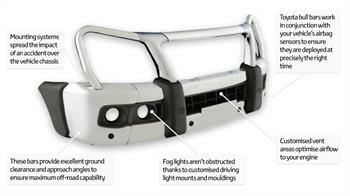 Seeing Machines’ systems developed for truck fleets also monitor if a driver is taking his/her eyes off the road to check out their phone – and reports this back to the fleet’s HQ. Sure, a truckie shouldn’t be Facebooking on the phone while out on the road, but is this machine going to tell on you every time you stare out the window at a gorgeous bit of rural scenery for more than a couple of seconds? If the driver is a woman wearing makeup (or a guy – who are we to judge?) and her eyes water, making her mascara run, does the computer decide that she’s got dark circles under her eyes and is therefore tired? Does the reporting system send the camera footage back to HQ so whoever’s responsible for checking over the reports gets to see when the drivers are picking their noses or singing along with the radio? It’s good for safety, but it is a little bit Big Brother. What’s more, there’s a larrikin part of me that would want to pull stupid faces at the cameras. 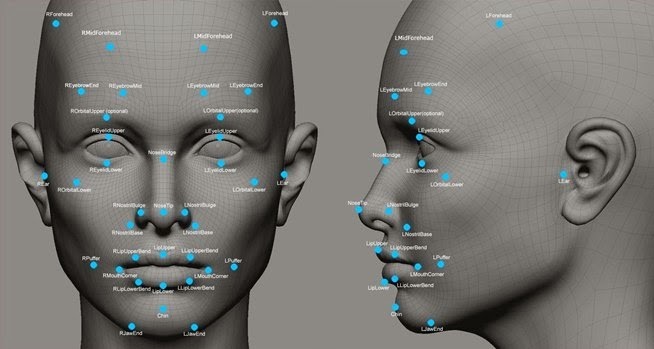 What do others think about facial recognition and fatigue sensing systems like these? Great idea or too invasive? Tell us what you think. Lexus continue to make inroads into the luxury car market, against established players from Germany, England, and Italy. Spread across sedan and SUV vehicles, Lexus pitch the GS sedan range right into the middle of their models, including the “entry level” $83K plus GS 200-t. A Wheel Thing was thrown the keyfob to a blue metallic painted version, with a sumptuous black and cream interior, for a week. The centerpieces of the car are the turbo four cylinder engine (180 kW and 350 Nm, 5800 and 1650 rpm peak) and the drive system. It’s a seven speed auto, with F1 style paddles inside, along with a dial for Eco, Normal and Sport. Although there’s more than suitable response in Eco, it’s in Sport, unsurprisingly, where the GS 200-t really sings. From a standstill, it’s a “seat of the pants” six seconds to 100 kmh, with the official figure being 7.3 seconds. There’s a touch of hesitation, turbo lag, from stand still, with silky smooth, almost double clutch auto shifts, with a barely audible but perceptible sound from the transmission as it does so. It’s so good it almost makes the paddles redundant…almost. There were times when they were needed to get the transmission to change ratios, from fifth to six to seventh, plus there’s always the fun factor of being involved in telling the gearbox what to do. Having said that, it’s still not a fully manually operated device, changing up or down irrespective of the driver using the paddles when in Sport mode. Economy wise, with mostly around town driving, A Wheel Thing finished on a reasonable 8.2L of 95RON gogo juice consumed per 100 kilometres. That’s from a 66 litre tank and up against Lexus’ own consumption figures of 8.0L per 100 km for a combined cycle. It’s certainly one of the nicer workplaces to be in. From the powered steering column adjustment, to the DAB enabled radio tuner, analogue clock, and four auto up/down windows, the heated and vented electric seats support and cosset the driver and passenger up front whilst rear seat passengers get a ski-port, with built in cup holders, accessing the boot. The dash itself sports a leather look with stitching, with the ergonomic mistake of placing the trip meter buttons down out of sight, behind the steering wheel near the driver’s right knee. Not a major issues in the greater context of a single driver usage, but pointless when it could and should have been incorporated into the onboard and dash displayed information and considering the sensible placement of the Start/Stop button to the left of the driver’s eyeline. That information in the dash is accessed via a four way tab system on the tiller’s right spoke, with a graph displaying turbo pressure and G forces adding to the sporting flavor of the GS 200-t. The dials are mechanical, with a hue of metallic grey. It complemented the interior trim and certainly adds class. Of course there’s Bluetooth streaming, auxiliary inputs via USB and 3.5mm plug as well. All of these plus climate control, apps etc are accessed via the centre console mouse and Enter pad, with the mouse centreing itself when the Stop button is pressed. It’s devilishly simple to use and has the added touch of being the only way to make the climate control a dual or single zone operation, as there’s no button apparent otherwise. The numbers in the temperature displays roll up or down as they change, as opposed to simply changing as you press the red or blue tabs. Simple and elegant, it adds to the cabin ambience. What doesn’t is the placement of the heating and venting controls for the seats, stuck at the bottom of the centre stack and ahead of the fold up lid for two drinks holders. It’s an awkward placement and not in step with the rest of the layout for the supplementary controls. There’s plenty of space inside, with rear seat passengers (two abreast) having plenty of leg, head and shoulder room, however do miss out on the independent climate controls found further up the range. That space extends to the boot, complete with full sized spare, allowing a family to utilise the flat floored cargo space’s 520 litres sufficiently well. What the GS 200-t doesn’t miss out on are the driver aids, such as lane keeping alert, blind sport alert, forward collision alert and reverse camera with lane assist. There’s a full suite of airbags and electronic assistance such as Traction Control, of course, but it’s both rarely needed and felt. Lexus have dialed in some fun, allowing the GS 200-t to skip around at the rear in certain turns and corners and also on a good launch. Never, though, do you feel as if there’s something untoward about to happen, such is the balance and response of the car. There’s the transfer from front to rear as you accelerate, the hunkering down of the body at speed as the aero plays its part, the gentle roll as a turn is encountered and the slight nose down attitude under brakes. The stoppers themselves are sensibly calibrated, with the pedal requiring only a slight push before you know there’s pad on disc. Once biting, there’s a smooth progression through the pedal and will haul up the 1745 kilo machine precisely. There’s also that sense of precision in the ride and road holding. There’s confidence in the chassis, a fluidity in the way it absorbs bumps and irregularities, whilst turn in is sharp and provides minimal understeer through the slightly numb on centre steering. Nor was there noticeable oversteer once the foot was lifted from a turn and accelerate move on a dry road, it was more unsetted or broken up surfaces where the rear would skip gently. The exterior is long, lithe, showcasing the blue in some light as almost black. The recent redesign may not appeal to some, especially with the trapezoidal grille and separate L shaped LED driving lights sitting above the rounded lower section of the front bumper and below the more traditional halogen lamps, compared to the GS 450H’s LED setup. At the rear, there’s twin exits for the exhaust, integrated into the rear bumper. It’s a look that has grown in appeal as far as A Wheel Thing is concerned. Rubber is 225/50 wrapping 17 inch alloy wheels in a design that’s neither pretty nor offensive, but rather more middle of the road in appeal. Bear in mind, of course, the 200-t is the entry level to the GS range. Warranty wise, it’s four years or 100000 kilometres, whichever the driver completes first, with servicing at every 15000 kilometres. Lexus do offer a fixed price service structure but it would be nice to see the warranty increased to five years to suit the level of quality you get when purchasing one. It’s a larger car than the Lexus IS range, the GS and comes in three trim levels (Luxury, F Sport and Sports Luxury) and is therefore plugged fairly and squarely into the battlefront filled with A6, E-Class, 5 Series, XF Jaguar style vehicles. It’s well finished, drives beautifully, has good economy for the engine and weight and certainly comes well equipped to kick things off. Yes, that front end design may raise an eyebrow but that’s in opposition to everything else you’ll get for your hard earned. Consider the handling, the amount of room in the GS, for starters, and the appeal it will have to a buyer that doesn’t wish to be seen as mainstream, and then the whole package suddenly becomes much more appealing. Head over to Lexus GS for further information. Isuzu. It’s a brand name perhaps more familiar to truck owners and drivers than car owners, however it’s a name that’s been part of the Australian automotive landscape for over four decades. Of late, Isuzu is known for the two tier range of D-Max and MU-X, a ute and SUV pairing. A Wheel Thing spent a week with the Isuzu MU-X. Isuzu have aimed for a market, it seems, that go for functionality. That’s the initial feelings upon getting inside the vehicle. The seats are of a vinyl look, the plastics are hard but smooth in texture in the centre stack, there’s some contrasting silver highlights in the fluid looking, the centre console has an eyecatching circular cluster design with a bold, red, LED display for the temperature and there’s a DVD player (sans headphones in the review car) that didn’t appear to be able to not play the audio separately for the rear seat passengers. The audio screen itself is surrounded by control tabs, which were legible and soft touch however the screen itself had a colour screen and font at odds with the modern look of the housing. It did, however, sound clear and punchy through the six speakers fitted to the LS-T, plus there’s Bluetooth and auxilary connectivity. There’s an copper-ish hue to the silver look plastic trim on the tiller, and a hard feel to the tabs as well, needing a little more cushioning. The dash has an easy on the eye monochrome centre screen display, which was simple in design and presentation, offering basic information such as trip meter, outside temp and fuel, with a complementary charcoal-grey colour to the mechanical dials. Unfortunately, the storage locker in the upper console refused to play, not opening cleanly every time the release was pressed. The centre console surrounding the circular aircon controls was a matt black plastic with a hint of satin to the finish, the gear selector has the same plastic trim as the steering wheel and the off road drive selector dial, housed in the matt/satin plastic between the driver and passenger seat, has the same copperish hue in the look, and a definitive click/clack feel to it. Although clean and simple in design, there’s a feeling it doesn’t match the competition as well as perhaps a $53K SUV should. Seat coverings in the rear were the same, with the seats themselves of a fold and tumble design. It’s a seven seater, to boot, with the rear folding flat, offering up 235L (seven seat mode) to a very usable 800L (five seater configuration). There’s plenty of family oriented storage, with 14 cupholders (!) and some extra nooks spread throughout the cabin. Under the bonnet, a non alloy one, is a somewhat noisy 3.0 litre diesel, with 130 kilowatts and 380 torques. To context that, the Holden Colorado, effectively the M-UX’s fraternal twin, packs a smaller engine with more power and 500 torques, 120 more than the Isuzu. Noisy it may be, but it pulls the near two tonne MU-X well enough, slurping 8.3L of diesel (combined figure, automatic transmission) from the 65 litre tank for every one hundred kilometres covered. The auto is five ratios, not six, a curious decision in a landscape filled with six, seven and even eight speed autos, such as Mitsubishi’s new Pajero Sport. It’s smooth enough in its changes, if sometimes a bit jolty under light throttle and it’s reasonable to think an extra ratio would help in overall driveability and economy. Being four wheel drive capable, it’s a matter of twisting the drive selector, making sure that you’re at the appropriate speed to safely move between two and four wheel high range. Low range requires, like all 4WD electronic transfer cases, the vehicle to be stopped and in Neutral to engage cleanly. The MU-X delivers good gravel road holding in 2WD, taken to a rocky road in the far west of the Blue Mountains. With the four wheel drive engaged, the LS-T tightens up in ride quality, with a more surefooted apprioach to the road and exhibiting only a small amount of plough on understeer in the tighter turns, easily controlled by a dab on the well balanced brakes. Road wise, it’s typical 4WD SUV; floaty on top but speedbumps and potholes crash through the suspension. In slow corners there’s a clear sensation of body roll, with the car leaning into the suspension whilst the somewhat vague steering on centre has the MU-X understeer more on tarmac. On the freeway it absorbs the undulations effortlessly, with the ride settling quickly once the road flattens out, rather than endlessly pogoing. Dive and squate were there, but not to any extreme. The ride’s also helped by the all purpose 255/65/17 rubber. Acceleration is adequate, accompanied by the rising and falling chatter of the engine as the gearbox changes. There’s no paddles on the steering column and the manual shift made no difference to the alacrity of the changes, so the discerning driver will use the five speed auto as an auto, rather than getting involved. Brake feel was also a good thing, as mentioned, with a slight amount of travel in the pedal before the vented 300 mm front and 318 mm rear discs bit and with a good progression in the pedal there on. Handy, given the MU-X is rated to tow up to 3000 kilos. There’s also some hidden smarts in the MU-X’s drivetrain, with an adaptive learning function on board. It reads the gearbox’s shift points depending on throttle input and brake behaviour, modifying the shifts to suit. Safety wise, there’s Hill Start Assist, ascent and descent controls, curtain airbags and a strong high tensile steel safety cell with side intrusion bars. The exterior finishes off the MU-X, with a wedgey, almost blokey profile, solid rear window pillars ahead of the rear window, angular headlights bracketing a two bar grille, and broad spread tail lights are linked by a chrome bar. Although top of the range, the LS-T misses out on a power tail gate, increasingly common in this sector. Also, there’s a door handle visible at bottom centre but the actual door release is near the numberplate. There’s flared guards,and in black poly-urethane, the lower section of the front bumper plus the test vehicle came fitted with a sports nudge bar. Overall, it’s a cleaner look than its Holden badged sibling, the Colorado 7. It rides on a 2845 mm wheelbase, covers 4825 mm in total length and stands an imposing 1830 mm in height. At The End Of The Drive. Isuzu Australia offers the MU-X with a five year, 130000 kilometre warranty. Mechanically, that shouldn’t be called into play but it’s a goodly amount of peace of mind. Although the cabin needs more soft touch plastics, there weren’t any squeaks or rattles; impressivegiven the MU-X LS-T had clocked up nearly 17000 kilometres and there’s a sense of being solidly built. The car provided costs in the order of $53K and that’s a reasonable ask, given the range starts at just over $40K. It puts it in right in the game play with the Colorado 7, the Pajero Sport, Fortuner from Toyota and Ford’s Explorer range. There’s certainly good enough ride quality, an economic diesel, but a few details such as no powered tail gate would need to be considered. It’s the usual problem with new sustainable fuels*. On the one hand, the inventors have come up with a great new technology that’s renewable but still produces lots of lovely energy that we can use to get our cars whizzing around the road. What’s more, it would be a piece of cake to install this in the typical production car (well, in some cases, anyway!). On the other hand, using this technique requires a fair bit of infrastructure to be in place. You need to have bowsers that pump out the biodiesel or the ethanol, you need charging points for electric and plug-in hybrid vehicles (and you thought finding a charging point for your smartphone was bad enough), and you need hydrogen refuelling stations for fuel cells. It’s a real Catch-22 situation: the powers would be would install more of the infrastructure if there was more demand for these sustainable energy sources created by people like you and me buying vehicles than need the charging stations, etc. However, I, for one, am not going to buy a vehicle, no matter how eco-friendly it is, if I can’t give it the juice it needs to get moving because the infrastructure is lacking. Things are slowly changing in the electric car and plug-in hybrid department. We’ve already got an electrical grid that works pretty well most of the time and at least a chunk of the power is generated from renewables. Charging stations are popping up all over the show, which makes buying a hybrid or electric vehicle more attractive. We’ve also got a fairly good history of using ethanol blends in our fuel thanks to our sugarcane industry, so it won’t take that much to increase the amount of ethanol or biodiesel we use. 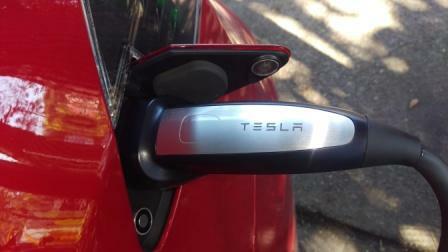 The renewable clean technology that’s been a bit slower to get off the ground has been hydrogen fuel cell technology. This is super-clean burning, producing only water vapour as “exhaust” but powering our cars on hydrogen has some drawbacks. Putting in the fuel cell into production cars at the factory is easy. Fitting in a hydrogen tank is a bit harder, as these things have to be large and as tough as gnarly old ironbark tree or tougher. Then you’ve got the infrastructure problems, as hydrogen sources can’t be pumped from your regular bowser, as it’s a gas, not a liquid. However, just last week, Nissan announced a possible way to sidestep the infrastructure problem. They’re in the process of researching and developing a new sort of fuel cell: one that uses hydrogen derived from bio-ethanol within the fuel cell itself to generate electricity to power a car. This is known as a Solid Oxide Fuel Cell or what Nissan has called its “e-Bio Fuel Cell”. This technology looks set to be released in countries where they already have a good source of ethanol handy as a byproduct of sugar or corn-growing industries. In other words, countries like Australia! The process works more or less like this: first, the ethanol or ethanol and water mix gets pumped from a regular bowser into a regular fuel tank. The ethanol goes through the reformer part of the system to become H2 (chemically, ethanol is CH3CH2OH, so there’s lots of handy hydrogen). At the same time, air comes in through the intakes, and the hydrogen and oxygen head for the fuel cell stack. This generates electrical energy, which gets stored in the battery, which, in turn, powers the electric motor. The aim is to have a vehicle that’s a nice, quiet electric car with no or very low emissions and diddly-squat of a carbon footprint (although the official Nissan press release didn’t say what happens to the excess carbon and oxygen left over after converting the ethanol). With this sort of fuel cell, it’s likely that Nissan will have a 100% electric vehicle that has better range than what’s currently possible with the typical EV, such as Nissan’s very own LEAF . On top of this, there’s no need for new infrastructure to supply the fuel and it won’t take ages to fill up, unlike the situation with plug-in hybrids and EVs today, which take a fair bit of time to charge, so you have to plan your plug-in time to fit your schedule. It sounds like a real win-win situation: a low-emissions vehicle that uses sustainable fuel, is quiet, has decent range and is fairly quick to fuel up. It’s not sure at this stage when Nissan will be putting these fuel cells into its vehicles, but it shouldn’t be too far away, so watch this space! * This was written before I spotted my fellow Private Fleet blogger’s post on the sustainable fuel issue. Great minds think alike! Are Alternative Fuel Technologies Well Positioned to Take Over? There’s been no shortage of news coverage lately with regards to the next generation of technology that will power our cars. Between automotive companies, governments, community groups, and independent bodies, it appears the days of petrol and diesel powered cars could be numbered. But just how well equipped are the alternatives? Among the manufacturers: Mercedes-Benz have recently announced plans to release a 500km, five minute recharge electric vehicle within the next five years; Volvo plan 1,000,000 electric vehicles before 2025; Volkswagen envisage 30 of their own electric vehicle variants on the roads across the next decade; and Toyota are targeting hydrogen power (consistent with the Australian government). Crucially however, manufacturers are not alone – as well as an increasing uptake among motorists, European countries like the Netherlands and Norway have led the way in committing to banish the future sale of petrol and diesel cars. In theory, the premise of hydrogen cars sound fantastic – a combination of resources that are readily available, with less degradation to the environment; a fuel that lasts as long as current offerings; and delivered in a way (by pump) that is familiar to every motorist on the road. However, to produce such copious amounts of hydrogen, it would be remiss to think that the process (be it, electrolysis or steam methane reforming) does not also create a burden on the wider environment – for instance, heavy infrastructure and transport needs, or the creation of carbon dioxide (respectively). Even the portable solutions being touted are limited in their ability to generate sufficient fuel for required purposes. Similarly, electric vehicles are also a simple permutation – charging a car’s battery by way of infrastructure that offers a renewable source of energy. To date, the technology has been inhibited by a shortage of public infrastructure (on a private level, it is accessible), as well as inherent limits with the batteries of such vehicles – which often restrict drivers to a lower driving distance, and only after a lengthy period of time charging. Also, it goes without saying that such batteries require inputs, namely lithium, which involves a refining and manufacturing process. What you’ll note among the plans from Mercedes-Benz mentioned earlier, as well as the latest electric vehicles from Tesla, is that there is a solution in the works to address the major shortcoming regarding vehicle range. But as with any technological development, it’s likely this will take time to bed down, and even then, we’ll continue to see incremental developments as we have with current fuel technologies. The US has been one market experiencing phenomenal growth in the sales, and infrastructure development, for electric vehicles – particularly as Tesla offers affordable vehicle prices and charging costs continue to decrease. Similarly, European markets are among those with the highest uptake of electric vehicles, alongside China and Japan. With this in mind, what becomes evident is that the countries with either the financial resources (e.g. Nordic countries), or those with sheer population (to leverage economies of scale), are the frontrunners in introducing such initiatives. While the Australian government might have plans for alternative fuel technology to head in one direction with hydrogen, it would seem most of the world sees things a little differently. And in much the way we’ve become accustom to charging our phones daily, it might not be too long before we’re doing the same with our vehicles. In simple terms, A Wheel Thing believes the Kia Optima GT is one of the best cars in its class currently available in the Australian market. It’s a gorgeous thing in the flesh, a superb handler, a great ride and except for those fuel figures, unacceptable in today’s environment, a cracker package overall. The aftermarket industry for the automotive field is a multi-billion dollar industry. It covers items such as oil, filters, light globes, seats and seat covers, wheels, tyres, roll bars, roo bars, lights and more. And there’s a push to make sure that you, the buying motorist, gets looked after. The Australian Automotive Aftermarket Association (AAAA) submission to the Australian Consumer Law Review demands better protection for Australia’s 17 million vehicle owners. “There are sections of Australian consumer law that are subject to ‘creative compliance’ rather than actual compliance with the letter and the spirit of the law,” said Mr Charity. 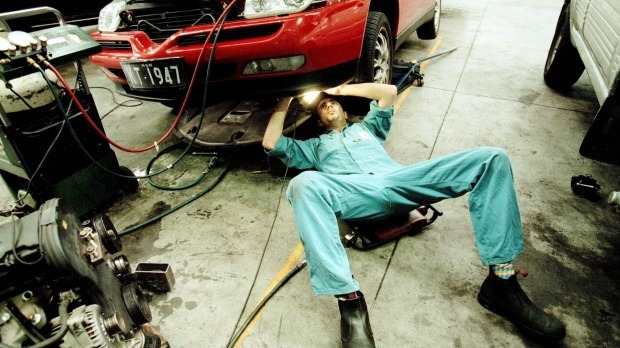 Another key issue raised by AAAA in its Australian Consumer Law Review is the lack of a clear definition for what constitutes a “major failure” for motor vehicles. “We need what is commonly referred to as a “Lemon Law”. 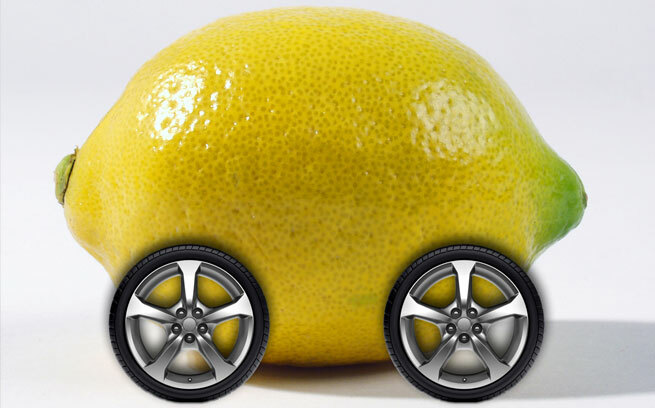 The absence of an Australian Lemon Law leads to significant consumer disadvantage. 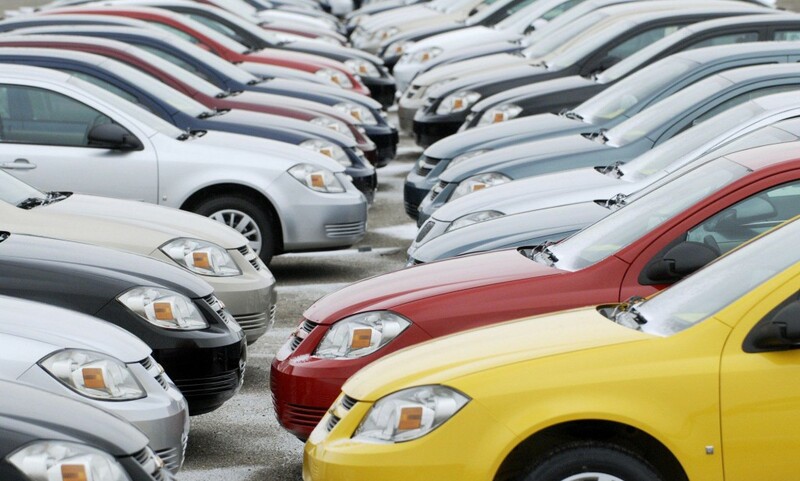 Under current regulations, car owners are forced to return to the point of sale repeatedly for ‘repairs’ and often do not achieve a satisfactory outcome over an unreasonably long period. Promote competition to empower consumers. The interior is a step up from Triton, but recognisable as being a family member, thanks to Mitsubishi’s common design themes. The sombre black plastic and seating covering is broken by splashes of brushed alloy look plastic, and there’s there’s the colour display for the driver’s dash binnacle. Ergonomically, there’s the simple and easy to use aircon controls, red backlighting for the steering wheel controls (which are hard to read in the daytime due to the light beige/bronze plastic used) and a seven inch touchscreen complete with digital radio and Android Auto/Apple Car Play app connectivity plus external HDMI input. What it doesn’t offer is satnav, only offering GPS, relying on the app to supply mapping. If you take the car off road and out of mobile range (easy to do with some providers, then GPS only won’t cut it. It’s a three model range, the Pajero Sport, with GLX and GLS sitting below the Exceed. There’s a price spread of $46990 to 54990 plus ORCs. It’s a well priced range and certainly a range full of value. It’ll have even more of a broader appeal when the seven seater arrives, sometime before June 2017. Subaru’s Liberty sedan is an unsung hero in Subaru’s fleet, with the Outback and WRX getting all of the eyeballs That’s a shame because it’s big, roomy, nice to be in and not unattractive to look at. When the 3.6 litre boxer engine is slotted into the engine bay, it then becomes an entrant in the large car class, against Aurion, Commodore, Falcon…and so it should. In February of 2016, A Wheel Thing attended the launch of the updated Liberty, Forester and Outback and recently sampled the 2.0L diesel and 3.6L petrol powered versions of the Outback Premium. The Liberty sedan with the 3.6L is, effectively and essentially, the same as the Outback wagon, bar the extra ride height and sheetmetal. It certainly has the same excellent ride quality and handling, with a lot to be commended. Of note were the subtle changes to the suspension in the wagons. It’s A Wheel Thing’s opinion that the Outback is one of the best in the medium wagon class for ride and handling and the Liberty sedan slots right in there. There is a bit of competition out there such as the Mondeo, Superb, and Octavia, just to mention a couple, but the incremental development work that Subaru Japan and Subaru Australia have jointly been involved in has paid off. Tested on dirt and tarmac roads in South Australia during the launch, and driven hard in its most likely environment, suburbia, both sedan and wagon exhibited the kind of ride a discerning driver looks for. On undulating roads,there’s no sense of continuing the motion, with the Liberty Premium simply following the up and down movement while simultaneously isolating the cabin from it. The transmissions provided were CVTs for each, programmed for six speeds with the 3.6R feeling more like a traditional auto. There is a manual option available, as well as a 2.5L four potter. The range starts at $35990 for the entry level 2.5L with CVT with the range topper 3.6R at $48490.The diesel premium CVT is $44490, with that price being an increase of $1500 over the outgoing model whilst the 3.6R seeing an increase of just $500. A Wheel Thing has not been a fan of CVT, for the most part, as the CVT added to the WRX is simply superb. There’s a discernable lag in acceleration, a lag in switching from Reverse to Drive before forward motion is engaged, a lack of smoothness in doing so as well. The 3.6R’s gearbox however is zippy, instantaneous response is given when asked for, and there’s more of a sense of the engine working firmly hand in hand with the gearbox. The 3.6R is more free spirited in its revvy nature, seeing 191 kilowatts at 6000 and showing no restraint in how it spins. There is the question of economy, with 9.9L/100 km for the 3.6R, however final figures finished well under that figure, at 8.5L/100 km. What is impressive about the 3.6R’s delivery is the torque; although peak torque is at around 4500 revs, there’s something in the order of over eighty percent available from 2500, meaning there;s plenty of low end response and urge to keep the Liberty motivated. Apart from the all wheel drive system marketing that Subaru has steadily built its following on, there’s been the step by step increase in standard technology. The 3.6R gets the EyeSight package, with stereo cameras and also now with colour recognition programming. The 3.6R also gets the Vision Assist package, giving the driver: Blind Spot Monitoring, Lane Change Assist, Rear Cross Traffic Alert, high beam assist and self dimming rear vision mirror. The colour recognition shakes hands with the ACC, Adaptive Cruise Control, by recognising brake lights being activated in vehicles ahead, and will slow the Outback. It’ll also recognise lane changing vehicles ahead, adding to the five star safety rating the range has. A very handy feature is what’s called Unintended Start Prevention, where it’ll hold the vehicle if the accelerator is pressed but the sensors read an object in front of the car. Subaru have also tossed in the Euro style emergency brake light system, which flashes the brake lights when the computer senses input that would be an emergency stop situation. The interior of the 3.6R Liberty sedan is identical to the Outback wagon with the 3.6L, down to the sunroof, somewhat slabby seats, lack of detail on the leather, no cooling for the pews (surely a must for Aussie spec cars with machine made leather seats? ), the SI Drive system (which changes the engine mapping and shift points in the autos), the StarLink touchscreen satnav and infotainment system…you get the picture. A Wheel Thing still feels the location of the clock has it lost within the aircon controls, not exactly an ergonomic or safe feature…Of course you’ll get Bluetooth handsfree phone connection, audio streaming and, being wagons, plenty of storage space in the cavernous boot, with over xxxL of cargo and enough bottle holders to suit the family. You’ll get curtain airbags, side airbags, driver’s knee airbag, power seats and that all wheel drive system with its so user friendly handling. The exterior hasn’t come in for any major do-overs; there’s a new Dark Blue Pearl paint (verra noice) and a retrimmed grille for the 2.5i and 3.6R aside from the aforementioned driving light change. It’s a handsome looking vehicle, with good looking 18 inch alloys and 225/60 Bridgestone rubber. It’s a good size overall, too, with a total length of 4815 mm encompassing a wheelbase of 2745 mm and tracks of 1570/1580 mm. .
Subaru’s Liberty really is a hidden gem for the niche player from Japan; the brand had a massive 344.7% sales increase in 2015 though. There’s a three year warranty on offer, which some would say lacks compared to some of the other brands out there. But the brand has a strong, fiercely loyal following and there’s little doubt an extra year or two warranty makes little difference to that loyalty. What the Subaru Liberty trades on is a good look, solid engineering, dependability and with the 2016 model, some of the best handling in its class, with the MacPherson struts and double wishbone rear. It’s a pity the CVT nobbles the diesel compared to the 3.6R as the economy of the diesel will always be a winner there but the 3.6R wins thoroughly in the performance stakes. Head across to www.subaru.com.au and follow the links for information on the vehicles available.